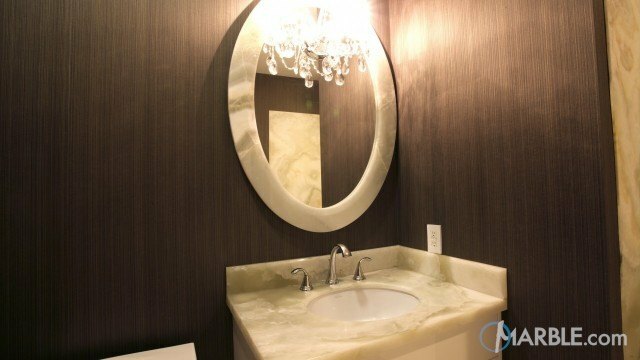 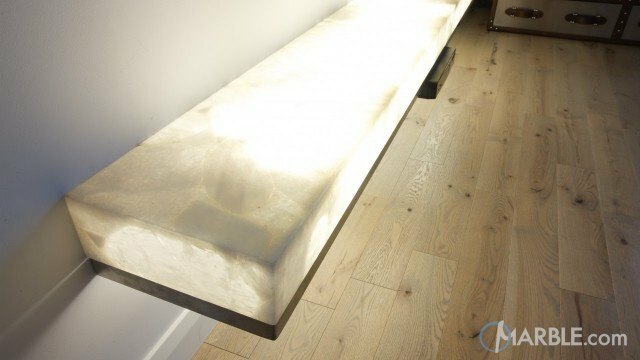 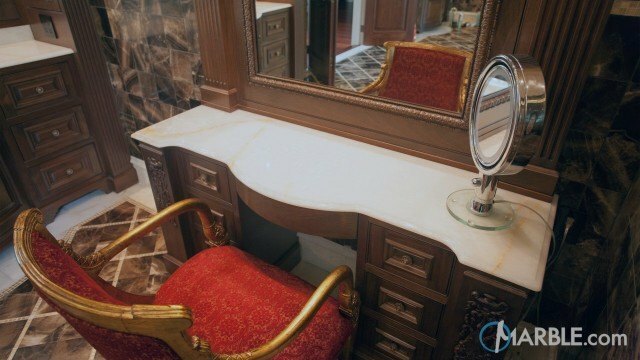 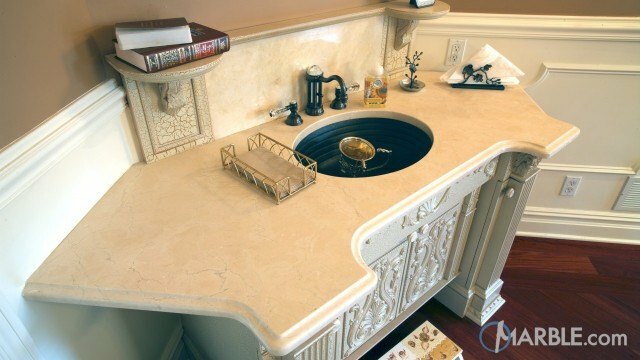 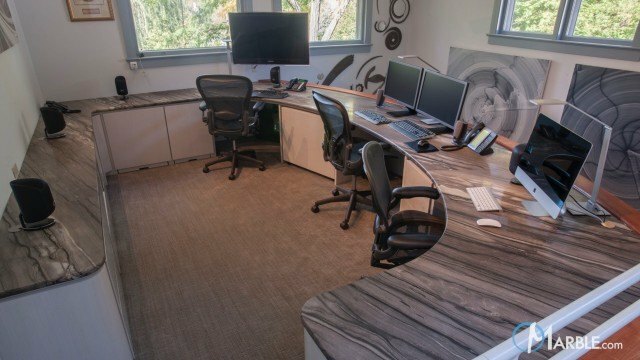 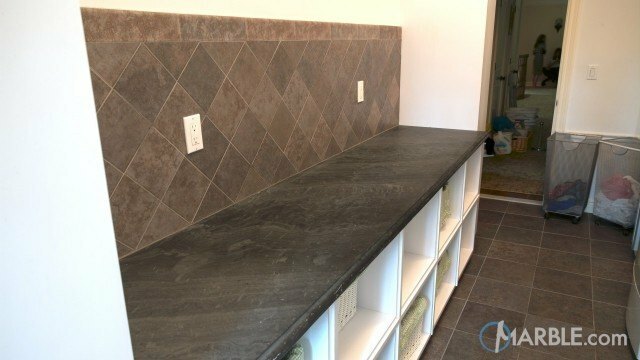 Who says that granite needs to be inside? 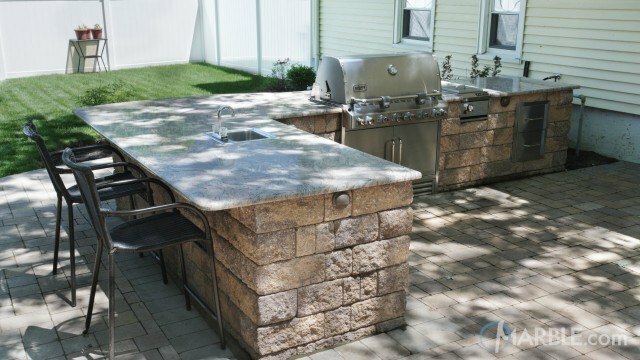 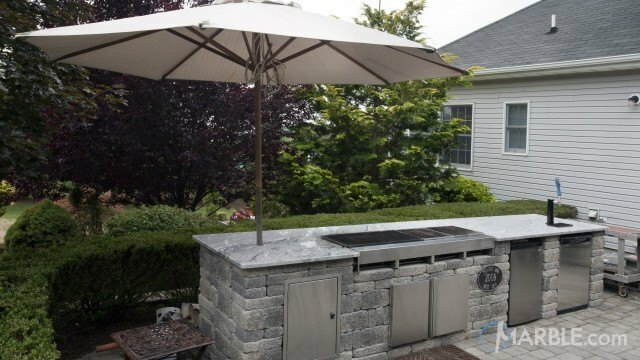 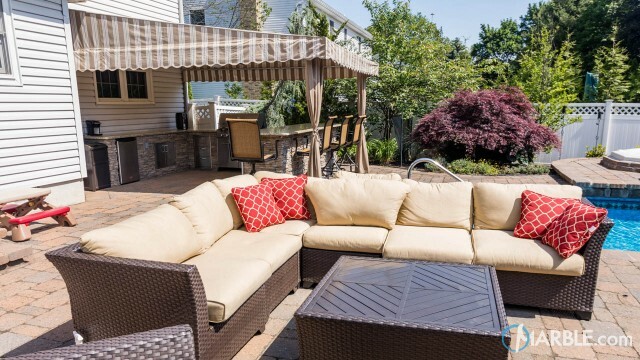 This outdoor barbecue uses beautiful Astoria Granite with a Half Bullnose Edge as a counter top perfect for grilling on a hot summer day. 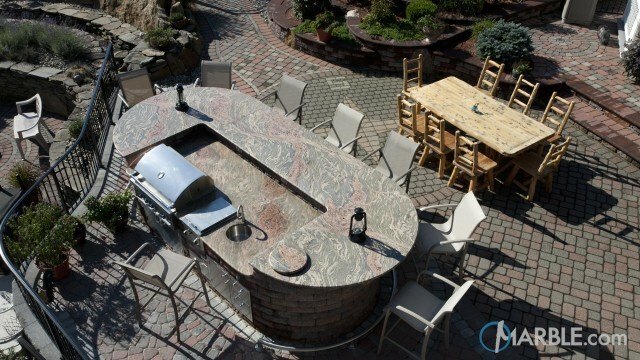 The swirls of brown and gold play off the patio brick to create a beautiful work space for entertaining guests and serving food. 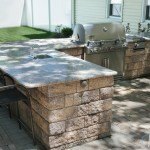 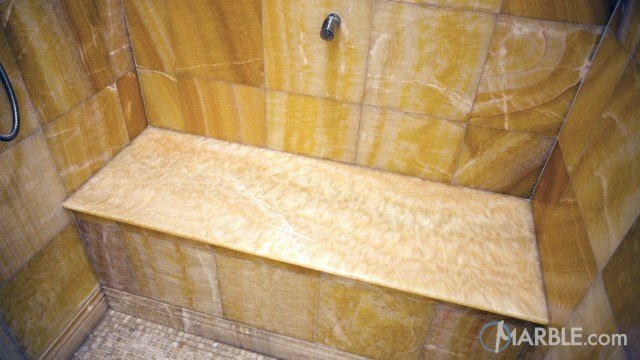 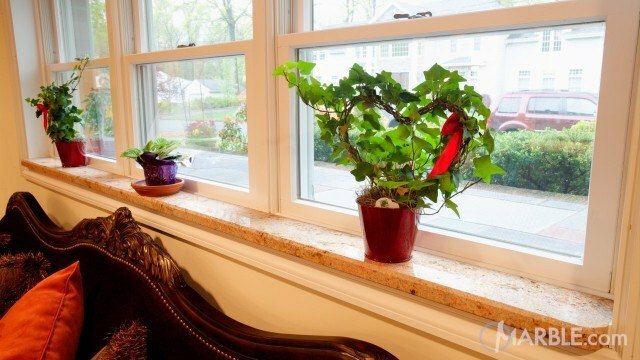 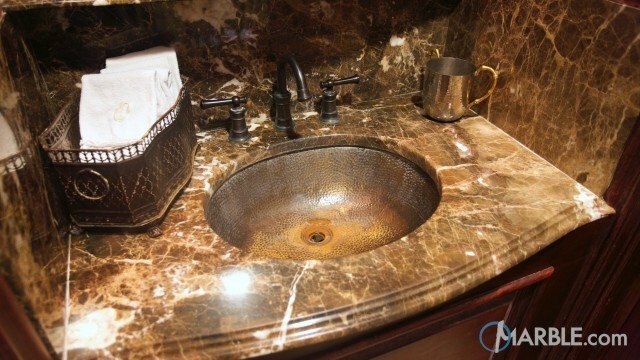 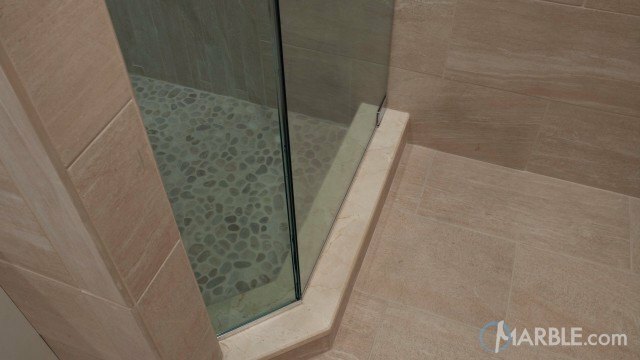 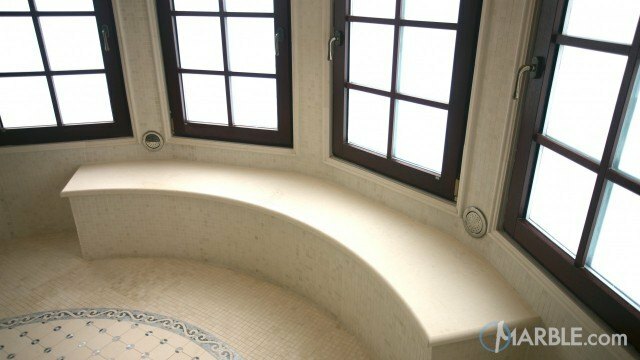 Granite is weather-resistant and with bi-annual sealing, will remain pristine.